I'll tell you my tale. I'm a science fiction fan, avid reader, and computer programmer from th U. S. I saw your book on the Kindle Deals email from Amazon. I've read (or started to read) several books I got for free from Amazon. But have finished few of them because many of them are poorly developed, poorly written, and I could not force myself to finish them. I read the Amazon reviews on both books, downloaded and started reading "Eden's Trial". 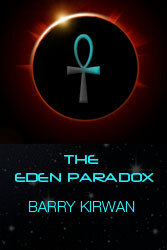 After the first chapter, I bought "The Eden Paradox" and started over at the beginning. I'm nearing the end of "Eden's Trial" and can't put it down. 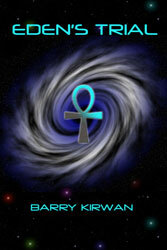 I can't wait to buy and read "Eden's Revenge" . Many thanks for a captivating series. Thanks Steve, glad you're enjoying them! Spreading the word is very much appreciated!